My MN56 is on it's way! 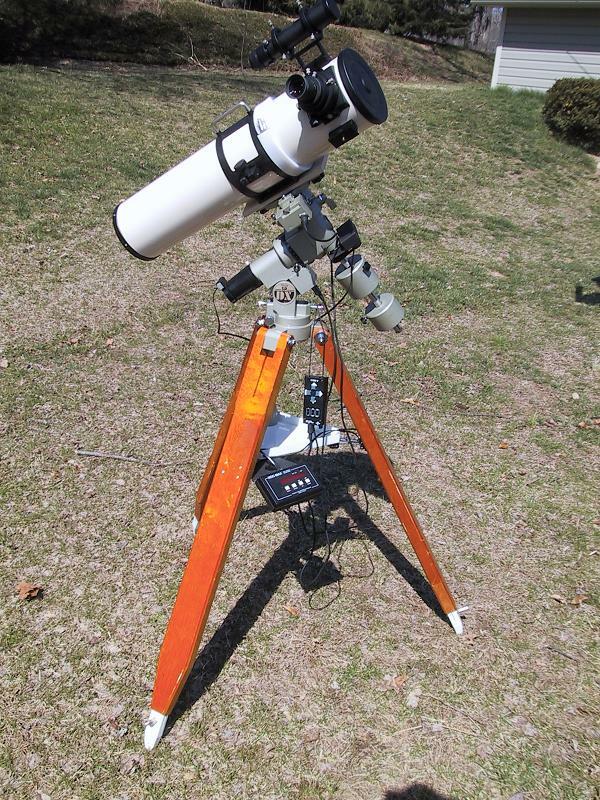 I'm not sure how many of you visit the other categories (reflectors, refractors, small telescope...) in the forums, but I've been all over the map trying to figure out what scope to buy. Thanks to all of you for the friendly advice. Well, I made a decision today and purchased an Intes MN56 from ITE. I'm so excited! I wanted a fairly compact, rich field telescope that can handle higher powers when needed. 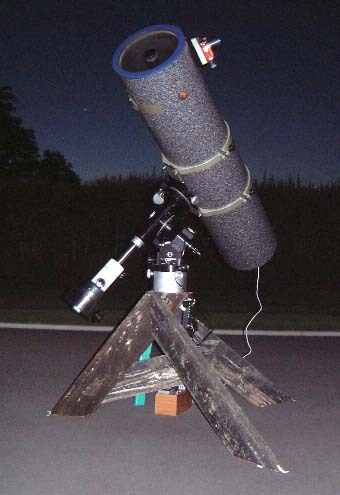 I was definitely leaning towards a 4" refractor, but after reading about the Mak-Newts, I thought I'd give one a try (at a fraction of the cost). Mike at ITE is great and I look forward to getting my scope. I predict rain all next week! Congratulations Dave!!! Great choice of scopes. I absolutely love my MN56. On nights of good to great seeing your scope will take ridiculous power w/out much image breakdown. Views are crystal clear. Webcam imaging is awesome. What mount are you planning on getting? BTW great deal at ITE...Mike Palermiti is always around to help out when you have problems. I'm still not sure which mount to get. I'm leaning towards the new CG-5 with GOTO. Mike at ITE indicated that this mount would be fine for the MN56. The GM-8 would be a nice mount too, especially if I go with a larger scope in the future. However, I'd also like to budget for accessories like a solar filter and eyepieces. BTW, did you buy any of the eyepieces from ITE? Mike said the Konigs are good for wide field and the Orthos are good for planets/moon. Any opinions? I can't vouch for the MN56, as I haven't seen one, but I did have an MN66, and loved it. Loved it that much that I built a 10" Mak/Newt, and am about to tackle a 7" Mak/Newt as well. You are correct, they are a good economical alternative to a refractor, giving exceptional views at a portion of the cost. They need a little thought with cooling, but it is not the dilema that it is made out to be. My money is with the GM8, this is what I used for the MN66. Once you get a taste for the quality you will want something a bit larger, and the GM8 will handle bigger. The Mak/Newt design is a little heavier, and certainly longer, so bear this in mind when thinking of the mount. I have used all manner of eyepieces, and have settled on the Konigs, from ITE as well. They give excellent views, without breaking the bank. Mike and Betsy are very good to deal with. Whats the eta for your new scope? And have you decided on a mount yet? Have you thought about the Orion Atlas at all? I expect the scope the middle of next week. The UPS shipping info hasn't been updated yet (grrr). I just looked at the Atlas. Probably a little too beefy for the MN56 or any future scope I may purchase. So I think it is still a toss-up between the GM-8 and the CG-5 GOTO. I see both you and Gary use the GM-8. Time to check Astromart! My scope arrived last Tuesday. Nice scope! It was packed very well and it came with the case. I noticed some specks on the secondary, but I assume they are dust that got knocked around during shipping. The alignment is off a bit but I'm waiting for a clear night to star test the collimation. I picked up a used Vixen SP-DX with dual motors and a JMI NGC-MAX from a club member for $500! I'm excited about that find. The clouds moved in right on schedule! Sounds excellent! You have a killer rig for $1k!!! Let us know how it goes and maybe get us a picture! Well, I finally got a picture of my new setup. It's a little heavy for a grab-and-go scope, but I don't mind. The mount is great and the scope has performed perfectly. I also made a a ring so I can rotate the tube and it won't slide (you can see it in front of the tube clamp). Beautiful setup Dave. Are you planning on getting a dew shield for your scope? Yes, I am planning on getting a dew shield. I was thinking of the metal, screw-in kind from ITE, but I don't think it will fit the front of my scope (it's not threaded). I may just get a flexible plastic one. Im using the metal dew shield from ITE on my mn56. 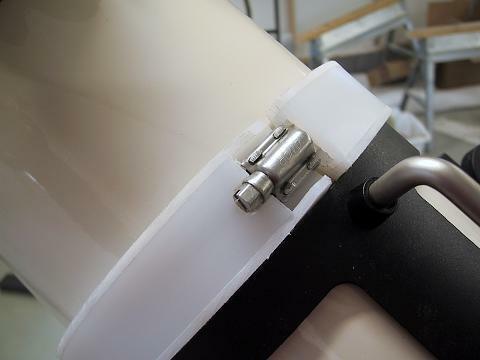 The shield fits snuggly over the tube and there are 3 screws that tighten down onto the ota. Because the shield is metal it adds a little extra weight to the entire rig...not too bad though. The only gripe I have w/ the shield is the ota front cover is too big to for the shield. In other words, unless the ota is stored kinda raised the cover really doesnt stay on. What did you make the ring from? It looks like some sort of hard plastic...something I may do as well. OK, so they must have a new dewshield that will work with my scope. I was hunting for one at Hands on Optics and Gary said that the old ones screwed in to the corrector cell. I made the ring out of UHMW plastic. I bought some U channel, 1" wide and ~3/4" high and some strips 1" wide and 1/8 thick. I held the channel in place with a big hose clamp, and I snapped the strip into the channel to dress it up. The UHMW plastic is slick like teflon but not as soft. I bought the materials at McMaster Carr (www.mcmcaster.com). I can post some close-ups if you want. That would be great Dave. To be more precise...the ITE dew shield screws "onto" the ota and NOT into the ota. I can see the confusion. The only reason I might consider the flexible shields is less weight and less expense. And the cost Ricky, at least for me. The screw on dewshield is a work of art, with baffles etc, and if it were as easy as you guys have it, I would have had one. Instead I have always used foam, the type that plastics stores sell for campers etc. It rolls neatly, and glues/tapes well. I use Velcro to attach it. Light, CHEAP, and very good at insulating. I quite often don't need the dew heater on. Well, here is another picture of the tube ring. This is the channel I used to make it. 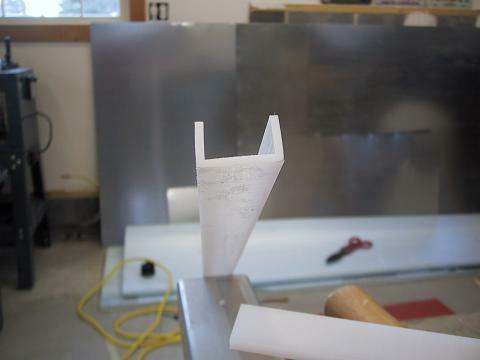 I had to trim down the sides of the channel first (on the tablesaw).